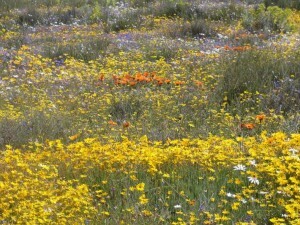 Have you seen the wonderous Western Cape Spring flowers? 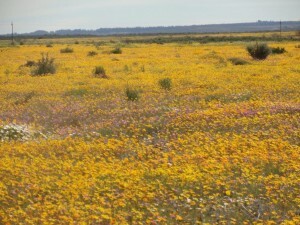 The amazing beauty of the spring flowers in the Western Cape floral kingdom awaits you! 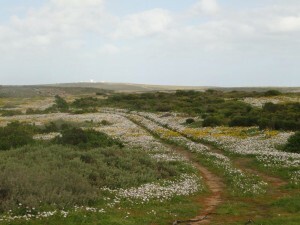 The fynbos in Hermanus, the wild flowers of the Cape West Coast are in abundance from June to October annually. You’ve booked your accommodation in Hermanus at Eastbury Cottage Self-Catering and B&B during this time and now you are planning your diary for things to do in Hermanus and the surrounding areas. Our own fynbos and wild flowers in the Hermanus area reach their full bloom from June to October and can be viewed along our cliff paths, mountain walks in the Fernkloof Nature Reserve, our farm and country lanes and fields. For us at Eastbury Cottage and the many visitors to our town, the Southern Right Whales and the Cape Floral Kingdom are always a wonderful sight. Be sure to mark the following date in your diary: In 2013, the Hermanus Fernkloof Flower Festival will be held from 26th-29th September from 09h00-17h00. The theme is “wetland” and Whale Coast Conservation will mount a practical demonstration of h0w a wetland works. Children will be invited to build their own “wetland in a bottle” as an educational activity. For more information contact 028 3162527. 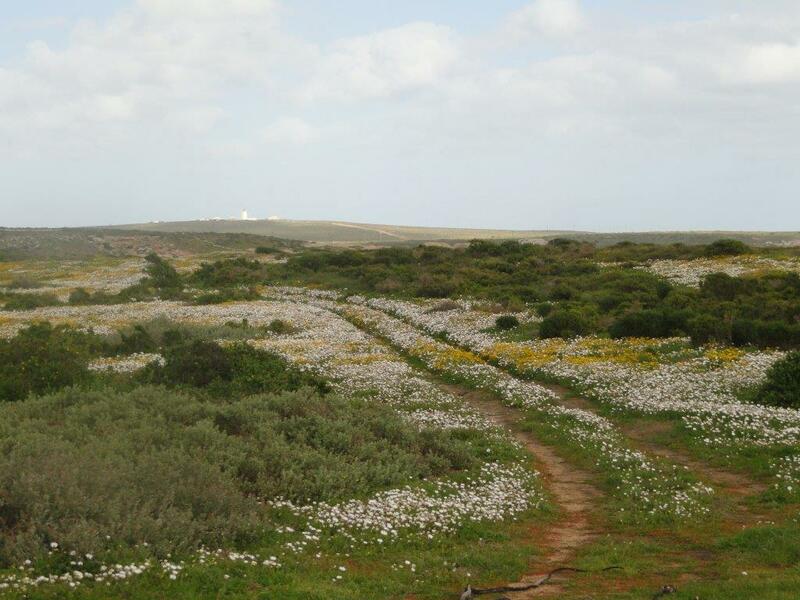 Looking further afield, consider a day trip to see the wonderful display of flowers on the Cape West Coast at the Postberg Nature Reserve and stand a chance to catch a glimpse of the Southern Right Whales as a bonus. The flower season, though shorter than the whale season overlap each other at the same time annually. The whales arrive to our warmer waters from the freezing Antarctic from May to calve and mate, before leaving again in early December. Our blog on Southern Right Whales to follow soon. 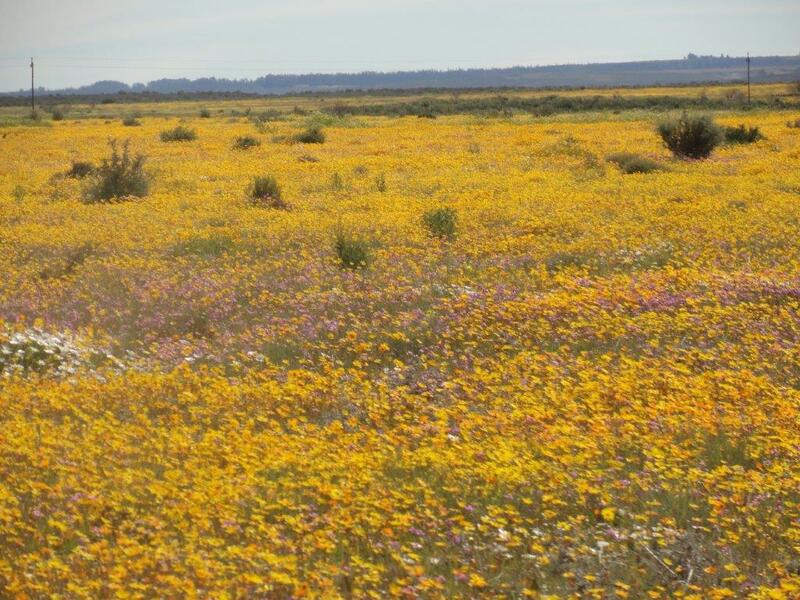 The Cape West Coast flowers and Namaqualand flowers are dependent on good rains during the winter and bloom from late June to late September. To enhance the experience of our guests, we suggest that a day trip to the West Coast National Park, between Yzerfontein and Langebaan, be scheduled into their itinerary, or that a few days be spent exploring that region and the magnificent wild flowers of the Nieuwoudtville area further north, before or after coming to spend time with us at Eastbury Cottage in Hermanus. 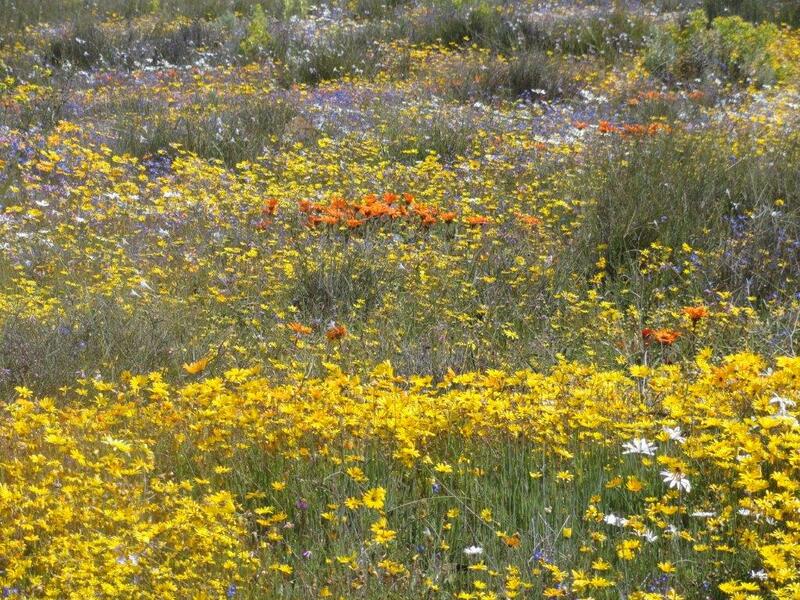 From July to the end of September…and perhaps even into October each year, South African Cape West Coast flowers come into full bloom and change the landscape into carpets of flowers. It is just a two and a half hours drive from Hermanus to the West Coast National Park, just beyond Yzerfontein on the R27. 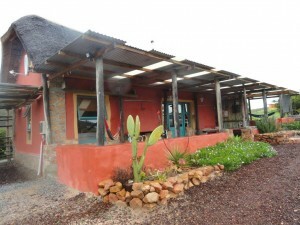 Within the Nature Reserve is the Postberg Reserve that is only open to the public from August to September. Viewing of the flowers is best on sunny days between 11h00 and 16h00 with daily temperatures of more than 17’C. Various species of Antelope can be spotted grazing amongst the fynbos and daisies. 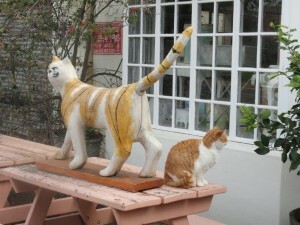 This drive is well worth a day trip from Hermanus. 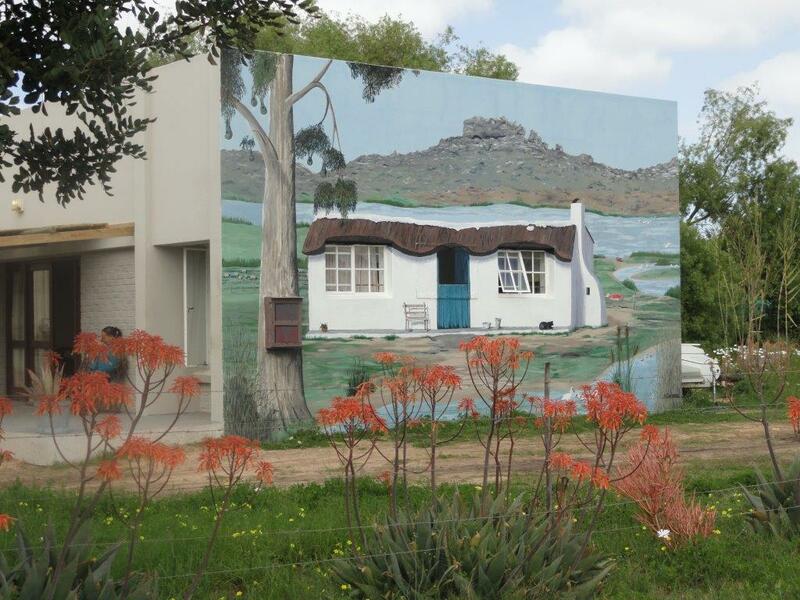 For those who would prefer to spend a night or two and venture further to the Namaqua West Coast and the Niewoudtville area, we can recommend accommodation and a route that we followed and explored over 5 days. This year we arrived at the West Coast National Park gate on the R27 (free entry for WILD Card holders www.wildcard.co.za ) at 11h00 on the 17th August and drove towards the Postberg Nature Reserve.Views are wonderful and a circular drive ensures that you can drive some of the way with your back to the sun, thus taking full advantage of those “pretty little faces” as they follow the sun. Be sure to stop at the Altlantic view point where you can see Table Mountain on a clear day. The Tsaarsbank is a picnic spot where you can braai and even spot a Southern Right Whale between August and November! Hiking trails in the reserve are a favourite for the adventurous and fit. Be sure to ask for a Guide to the West Coast National Park for more information and an easy map to follow. 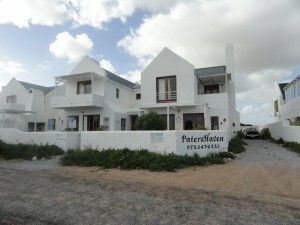 We exited through the Langebaan Gate on the north side of the reserve and followed the R27 to Vredenburg and then on to Paternoster where we stayed overnight at Paters Haven BnB www.patershavenbnb.co.za on a self- catering basis. Michael and Marlene run a very neat and clean establishment well equipped with all that is needed for guests. Lovely views of the sea from the unit give one that carefree feeling of being at the seaside! The daisies in the vacant plot of land opposite the guest house enthralled us all. We dined at the Voorstrand Restaurant that is situated on the beach. It would be a good idea to book an early seat and enjoy the view! On the 18th August we proceeded on via St Helena Bay, Velddrif and then on to Aurora and Redelinghuys through “potato country”. 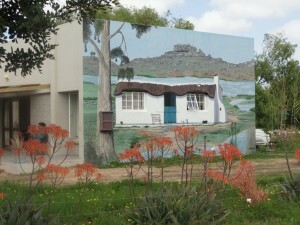 A surprise awaited us at the tiny village of Redelinghuys where we were amazed by the “trompe’loile” paintings adorning many of the external homes and outbuildings of the village. On leaving Redelinghuys, we drove all along the Verlorevlei wetlands with the roadsides and hills awash with blues, yellows, oranges and white spring flowers all the way to Elands Bay. At Elands Bay we set off for Lamberts Bay and were hoping to see the Gannet Breeding Ground, but were told at the gate that the cost would be R40 per person. We felt that this was a bit steep as we had limited time to get to Doringbaai for our night stop over. Just as well, as we found that all the cross roads to Doringbaai were closed due to storm water wash aways after the heavy rains. Unbeknown to us there was a toll road along the coast leaving Lamberts Bay, which would have cut our journey down to 35 kms to Doringbaai. We proceeded the long way around to Clanwilliam where we were rewarded with the amazing sight of the 95% full Clanwilliam Dam spewing forth water with a great force as it overflowed its dam wall. We continued to Doring Baai via the N7 and passed Klawer, then turn onto the R363 to Vredendal and Lutzville. Between Vredendal and Lutzville we saw vineyard after vineyard shoulder height under water due to the Olifants River bursting its banks after the heavy August rains. After Strandfontein we arrived at Doring Baai to our seafront accommodation, Thornbay, which is decorated in a sea theme with whales, dolpins, shells and fish in abundance on a background of blue. We were warmly welcomed by Michelle and Peter who handed us the menu for dinner at the Cabin Restaurant. After settling in, we phoned through our dinner order to the local Cabin Restaurant. The food was very good and reasonably priced and we especially enjoyed the sweet potato as a side dish. After a good night sleep on comfortable beds, we stopped at the small harbour and lighthouse and enjoyed a wine tasting and 09h00 in the morning! The 19th August proved to be a good day for wine and flowers as we retraced our steps along the R363, while enjoying the flowers and arrived at the Klawer Winery (a favourite of my Hubby, Graham). 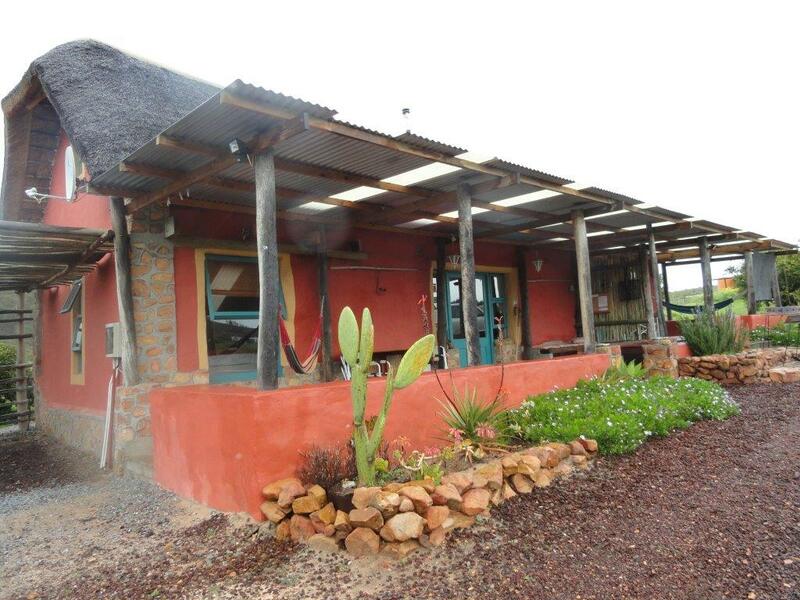 We purchased the Rooibos infused Muskadel wine, boxes of their red wines and many a bottle of grape juice to be enjoyed through the months until our next visit to Klawer. Vanrhynsdorp was our next stop to fill up the vehicles en route to Niewoudtville. 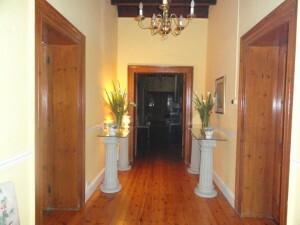 I had tried to book accommodation in Vanrhynsdorp at Aan’t Dorpseind Guest House. 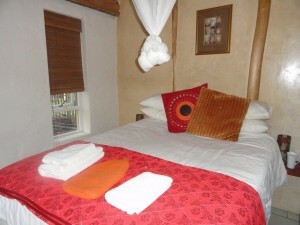 We had previously stayed at this lovely guest house in 2011 and were most impressed by the facilities. Four self-catering units situated around a central swimming pool with private braai places and off street parking. Heila Barnard, the owner, had a mountain of information for us and was most helpful about the best flower routes to follow. Sadly for us, her accommodation was fully booked this year. The roadside to Niewoudtville had patches of flowers in amongst the grey scrubby bushes…the purple and shocking pink vygies that will bloom later in the flower season. We had to make a decision whether or not to traverse the Gifberg Pass…but due to limited time, we decided that would be a trip for next year. The Vanrhyns Pass boasted lovely views of the basin below. Though not many flowers on the pass it was still a great experience as we climber to the Niewoudtville plateau. Niewoudtville, did not disappoint us. Orange, white and yellow fields of daisies, front and back domestic gardens overflowing with colour. After enjoying pancakes in the church hall and stocking up on the famous Karoo lamb at the only butcher in Niewoudtville, for our braai later that night, we ventured to the Niewoudtville falls on the R357. This was a good sight in the middle of a usually arid Karoo area of South Africa. Further along this road we turned right onto the 24km farm road to the quiver tree forest. Thousands of quiver trees standing like soldiers on the north side of the hills on duty while beneath them the daisies and vygies carpet the earth were a great sight. This circular farm route is quite long, taking one back to the R27, but well worth the drive for flower viewing. On the 20th, our accommodation that night was a stone 3 bedroom cottage on the farm called Cloudskraal just 12kms from Niewoudtville. Tastefully and well furnished, with an indoor braai, we sat around the fire that night enjoying our wine from Klawer and good food. Very special and tasty, was the piping hot freshly baked bread presented to us on arrival, by the farm owner, our host, Fances. Beds were comfy with electric blankets to take off the night chills. The next morning we left for the Matjiesfontein farm stall where we paid R10 per person to take a 12km circular drive through the farmlands. Spectacular! is how we described this experience. In some fields the colours almost hurt our eyes. Later we drove the back road to Clanwilliam via the Botterkloof Pass which had just been reopened due to road works after flooding and joined the R364. We were blessed with splashes of colour on the sides of the mountains and it seemed truly as thought the rainbow had come to rest on the sides of the hills. Instead of going to Clanwilliam we decided to take the rough road to Wuppertal, a quaint Moravian Mission Town in the Cederberg Wilderness Valley. Flowers in this valley were beautiful. The 4×4 route out of the valley was our next challenge. The road was dreadful but the views made up for the discomfort of bouncing around in the van. We passed the tiny settlement of Eselbank on top of the mountain with its quaint cottages, school and even a Guest House. Pretty thatched farm were cottages dotted along the fynbos lined road…this unspoilt area and is a true example of a getaway from civilization. Please give yourselves at least 3 hours to do this 4×4 route. 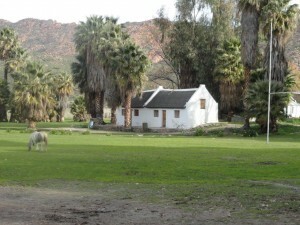 We drove on to Citrusdal after passing the lovely camping areas of Krom Rivier, Sanddrift and Algeria in the Cederberg Valley where we had spent happy times in the past on previous holidays. Blomhuis at Hebron Guest House and Flower farm, was our destination on the summit of the Piekenierspass where we found a delightful cottage built of straw bales and mud. 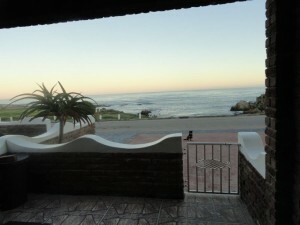 Caro, the owner, welcomed us to this pretty cottage decorated with a creative flair. We were most comfortable and had a lovely view over the flower field. A delicious breakfast was served in the guest house kitchen by Caro’s hubby, Steve. The farm stall also stocked homemade jams and jellies and we were given a few citrons to take home and attempt the making of marmalade. Last stop on our flower tour was Darling. This is a small village, just an hour away from Cape Town. Put on the map by famous local entertainer, Pieter Dirk Uys. His quirky restaurant called “Evita se Peron” is filled with South African memorabilia and attracts visitors from near and far. Most famous of course are the orchids farmed by the Duckitt family. Sadly the day was overcast when we arrived in Darling, so the daisies were not open. Our eyes were however treated to fields of arum lilies. The Old Pastorie was our chosen accommodation for the night where we were accommodated on a room only basis. 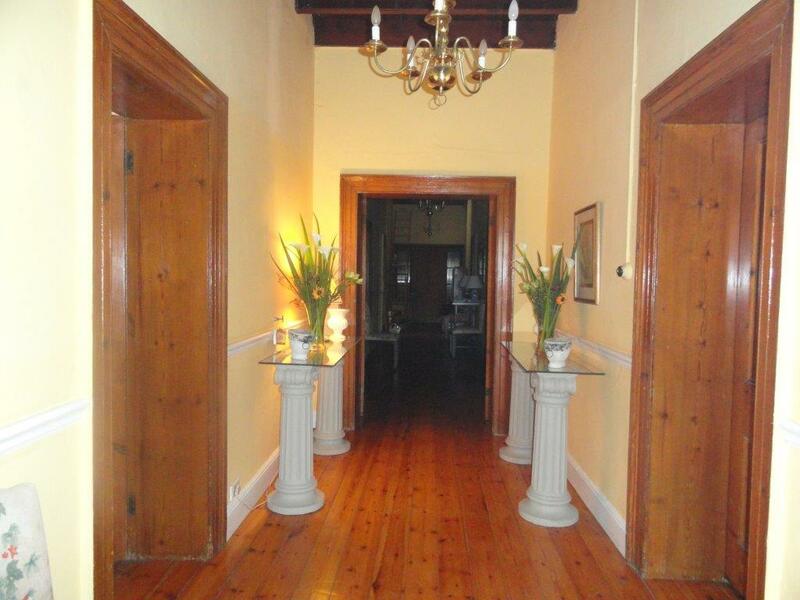 Reminiscent of the large and spacious gracious homes, The Old Pastorie was built in 1896. We dined very well at the very cosy Bistro 7 in the village that night. The curry and eisbein can be recommended. 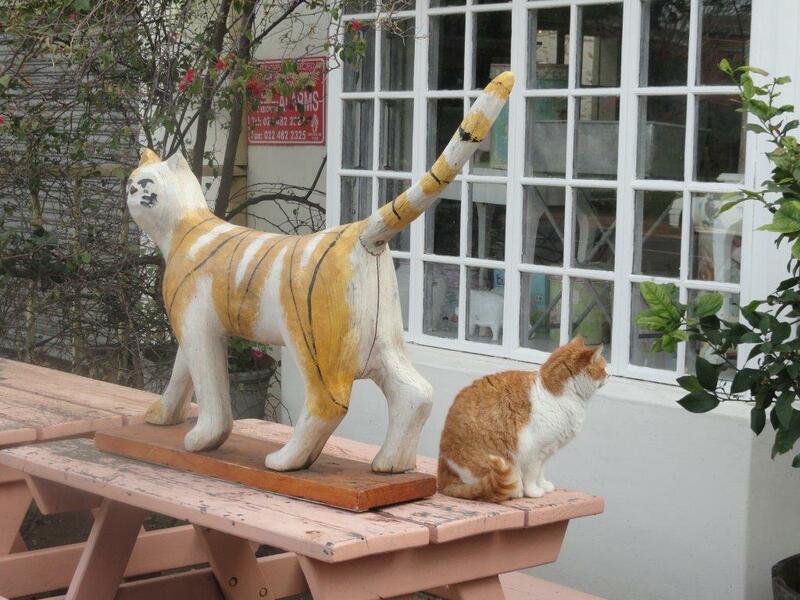 The following morning, before we departed for home, we enjoyed a scrumptious breakfast at the Marmalade Cat and the ladies found a few moments to do last minute shopping and browse around the interesting little shop. 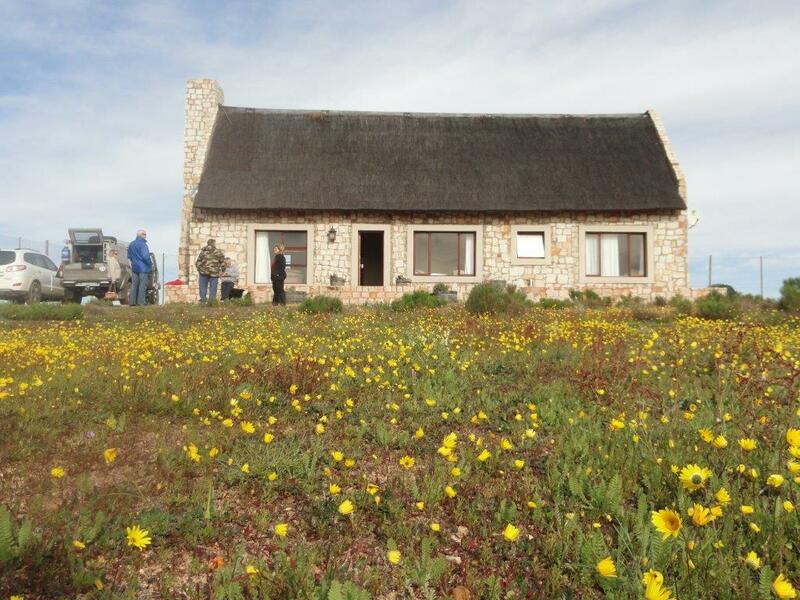 The flowers were an amazing sight and with happy memories in our hearts, we returned to our own beautiful part of the Cape, Hermanus and its flowers and magnificent whales and of course, Eastbury Cottage.